National HIV/AIDS and Aging Awareness Day, which occurs each year on September 18, might seem like an odd combination for an observance. But it actually makes perfect sense. Thanks to some startling advances in treatment, people with HIV are living longer than ever. In fact, according to the Centers for Disease Control and Prevention, almost half of Americans living with HIV are older than 50. As such, this observance highlights issues related to HIV prevention, care, and treatment for aging Americans. 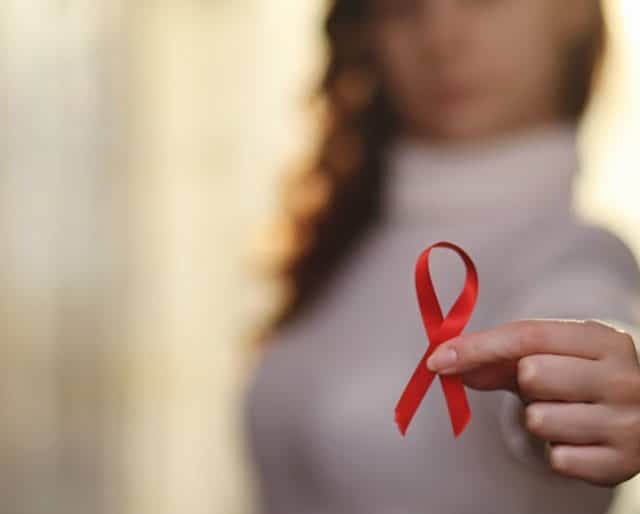 For example, the AIDS Institute says “there’s an increased need for prevention, research, and data targeting the aging population, medical understanding of the aging process, and its impact on HIV/AIDS.” So let’s learn a little more about this important topic. ​The CDC reported that an estimated 45 percent of Americans living with HIV are over 50; a quarter are 55 and older; and 6 percent are over 65. The Food and Drug Administration approved azidothymidine, also known as AZT, for the treatment of AIDS. SmithsonianMag.com reports that "some time around 1920, a person carried a virus from Cameroon toward the capital of the Democratic Republic of the Congo. The virus was a strain of HIV, and the city provided the perfect storm of conditions to ignite the AIDS epidemic." Though it may be a difficult conversation, you may want to talk to an older member of your family about getting tested for HIV. It's important for communities to engage faith leaders in topics related to the observance of National HIV/AIDS and Aging Awareness Day. Make sure people know about National HIV/AIDS and Aging Awareness Day on Facebook, Twitter, Instagram, and other popular social media platforms. In 2014, an estimated 428,000 people aged 50 and over were living with HIV in the U.S. Experts say that about one in seven Americans are HIV-positive but don't know it. ​Researchers estimate that more than half of people with HIV also experience HIV-Associated Neurocognitive Disorders (HAND), which can affect motor skills and memory. Worldwide, there are about 37 million people living with HIV. We think the AIDS Institute says it best: "National HIV/AIDS and Aging Awareness Day focuses on the challenging issues facing the aging population with regards to HIV prevention, testing, care, and treatment." This observance provides the space for us to better understand the effects of HIV among aging populations — and to share our newly found knowledge with others. There's so much to be done! On National HIV/AIDS and Aging Awareness Day, communities can come together to participate in awareness-raising activities and events.